Sikkim is nature's masterpiece painting - a sensory explosion created by the sky hugging snow capped mountain peaks, lush green meadows, numerous gurgling waterfalls, dense mystical forests and raging rivers defiantly cutting their course through mountains and valleys. 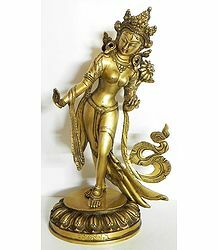 The prevalence of spiritualism all around, in the form of Buddhist monasteries lends this land a divine aura, where God and nature seem to have united into pure beauty. Join us on a journey of this land of beauty and spirituality through our showcase of photographs. Mt. Kanchenjunga is the third tallest mountain in the world, with an elevation of 8,586 meters (28,169 feet). Located at the border of Nepal and Sikkim, it is the tallest mountain of India. 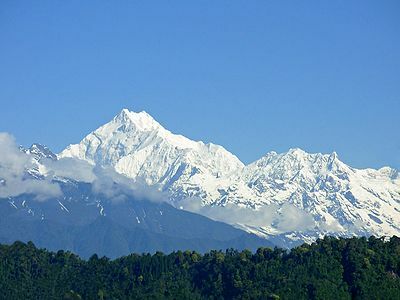 The name Kanchenjunga refers to the "Five treasures of snow", indicating the five peaks that make up the mountain. 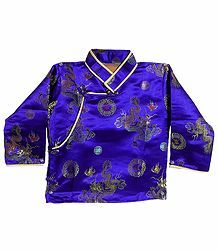 The five treasures represented are gold, silver, gems, grain and holy books. 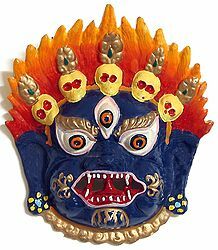 People across Sikkim and in Darjeeling have worshipped this mountain through the ages. Though Darjeeling in West Bengal offers some spectacular views of the mountain, it can be viewed from almost all locations in Sikkim. 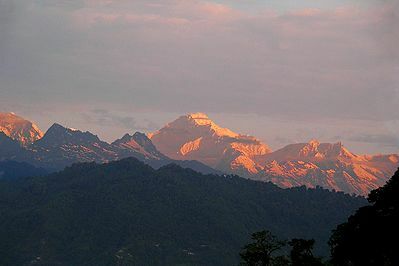 During sunrise and sunset, Kanchenjunga is washed in colors of golden, orange and violet while in the daytime, it can be viewed as a majestic white giant. 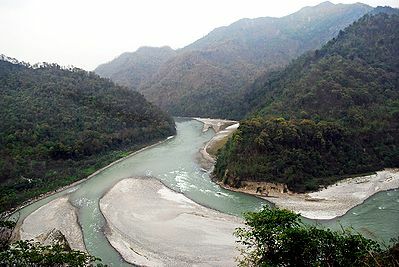 The Teesta river is the lifeline of Sikkim, originating from the Pahunri (Teesta Kangse) glacier and flowing down south through the Himalayan gorges, entering West Bengal at Sevoke, 22 kms from Siliguri. A visit to Sikkim usually involves road journey from Siliguri to Gangtok and the river remains almost a constant companion through the entire route. 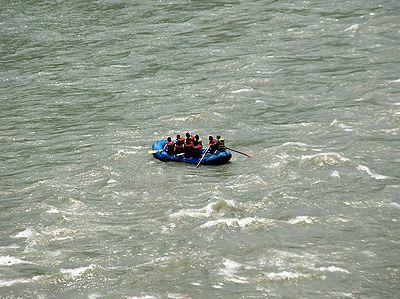 River rafting is a common sport practised in the raging waters of the Teesta. The Teesta is joined en-route by various tributaries, like the Rangpo river and the Rangeet river. The points of confluence of these tributaries provide a stunning view, with the backdrop of the Himalayan mountains. 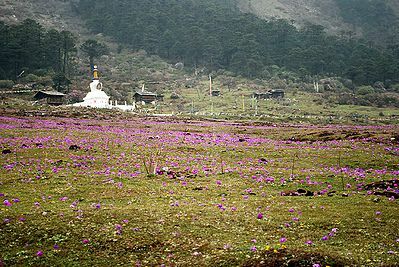 Sikkim is home to almost 600 varieties of orchids - which are a family of colorful and often fragarant flowering plants. Orchids occur in almost all habitats except glaciers. 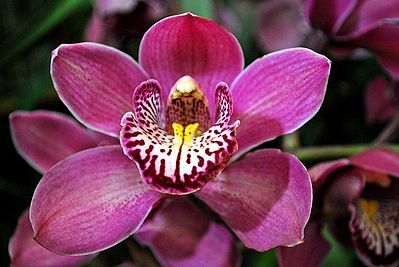 Sikkim frequently hosts orchid shows in Gangtok and Namchi and is taking steps to develop hybrid varieties of orchids. 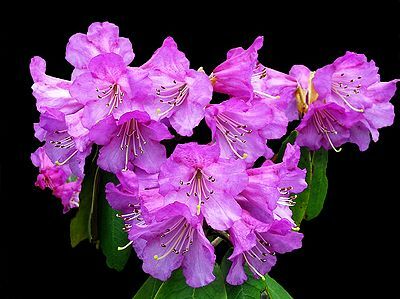 Rhodorendrons is the another prominent flower species in Sikkim. It can be found all over Sikkim in various colors - about 34 varieties of this flower can be found all over Sikkim. 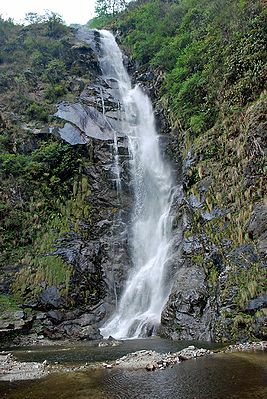 Sikkim can be called the land of waterfalls. 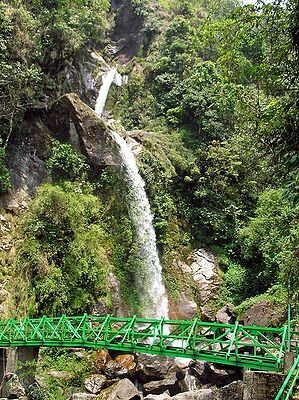 It boasts of a large number of waterfalls, prominent among them being Rimbi falls, Kanchenjunga falls, Seven Sisters falls and Bhimnala falls. 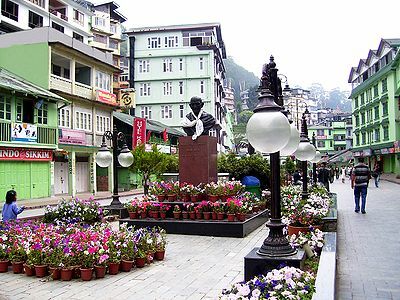 Gangtok is the capital of Sikkim and is located at an altitude of 1650 meters (5410 feet) from the sea level. Nestled within the higher peaks of the Himalayas, this city enjoys a year-round mild temperate climate. 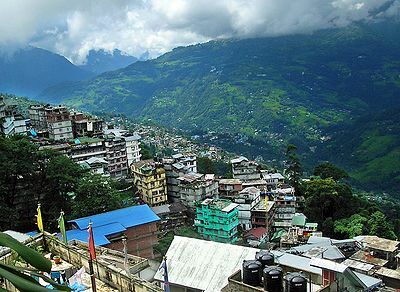 Gangtok is surrounded by dense forests of temperate deciduous Polar, Oak, Birch, Elm and other evergreen coniferous trees. The ethnic population of Gangtok comprises Nepalese, Lepchas and Bhutias. The old market, new market and Lal market are the primary shopping areas in Gangtok. 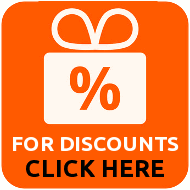 One can buy handicrafts, paintings, woolen carpets and apparel of Sikkimese origin from these markets. The new market on the M.G. Road is off-limits for vehicles and one can enjoy shopping here as much as walking through the flower bedecked street. 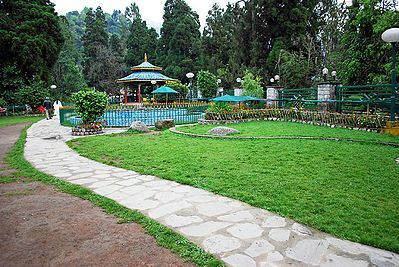 Saramsa Garden in Gangtok is a public garden , established in 1922. It is now an orchidatium and a recreational garden for picknickers since 1970. It has hosted international flower shows and promotes floriculture in the region. Palden Thondup Namgyal Memorial Park is dedicated to the memory of the last monarch (Chogyal) of Sikkim. He transfered power to the people, abolishing monarchy and brought in modern means of governance. The park was originally called the ridge park. The chief minister's residence and the White hall are located at one end of the park while a beautifully designed palace gate with a Pagoda rooftop adorns the other end of the park. The ridge is lined with flower plants and trees, producing a riot of colors. 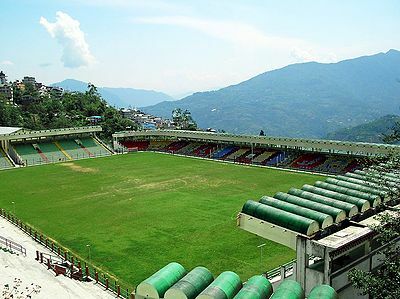 Palzor Stadium is the sole football stadium of Gangtok and it houses around 30000 people. Originally a Polo ground during the British rule, it was converted into a football stadium in 2005, at a cost of 30 crores. 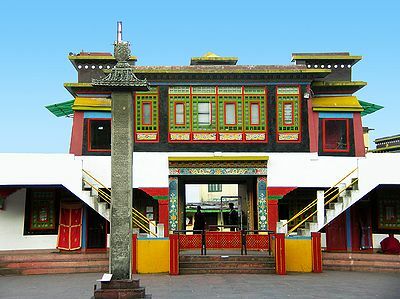 Rumtek monastery, also known as the Dharmachakra center, is a Tibetan Buddhist monastery located near Gangtok, and is one of more than 200 monasteries of Sikkim. It was built in the 16th century by the 9th Karmapa, Wangchuk Dorje. 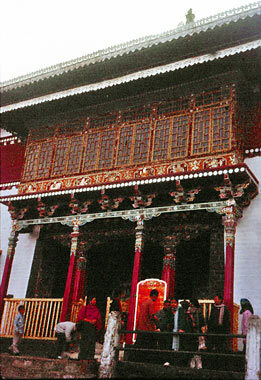 It was rebuilt in 1966 by the 16th Karmapa with the help of the Indian government and the Sikkim royal family. 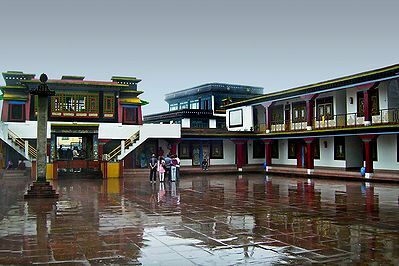 Rumtek is the largest monastery in Sikkim and houses a college for higher Buddhist studies. 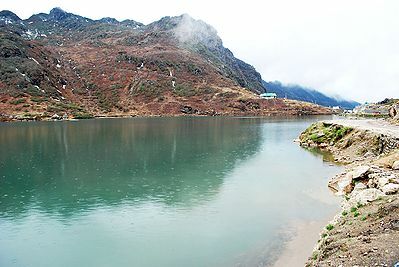 Tsomgo lake, or Changu Lake, in east Sikkim, 40 kms from Gangtok, is situated at an altitude of 12,400 feet above sea level. It is a glacial lake and remains frozen during the winter months. This 1km. long, oval shaped lake is sacred to the local people. A small temple dedicated to lord Shiva is located by the lake. 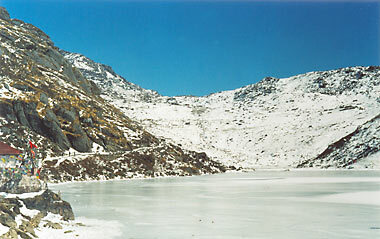 The Gangtok- Nathu La highway, which crosses the border at Nathu La, passes by the north end of the lake. The area around the lake is home to a variety of Rhodorendrons, Primulas, Poppies and other varieties of flowers. 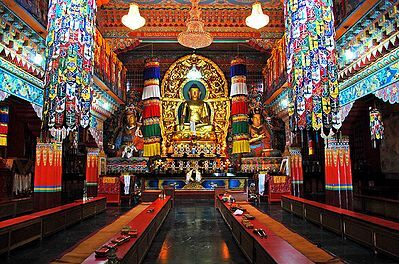 Ranka or Limgdum monastery is run by the Sikkimese Gharwan Rimpoche and features a huge gold plated Buddha statue in the sanctum. 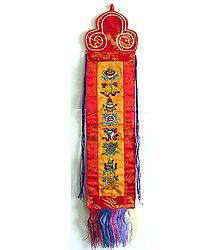 The monastery entrance has a long row of prayer wheels which one can spin for good luck. This monastery is known for its beautiful architecture and Thangka paintings that adorn its inner walls. 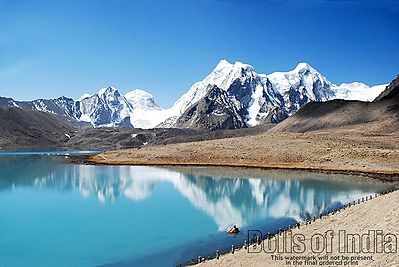 Gurudongmar lake is one of the highest lakes of the world, situated at a height of 17103 feet, near the Indian border with Tibet. It lies about 182 kms. north of Gangtok and can be reached via Lachen and a small hamlet named Thangu. The view of the lake is mesmerizing - especially the reflection of the snow capped peaks in the clear blue water of the lake. The lake remains frozen during winter. Guru Nanak - the first Sikh Guru, is said to have visited this place during his journey to Tibet in 1516 CE. Many locals accepted Guru Nanak as their Guru and he began to be known as Lama Nanak in these regions. A Gurudwara was built near the lake by a few soldiers of the Indian army, which was later converted into a prayer house for all religions (therefore called, the Sarva Dharma Sthala). 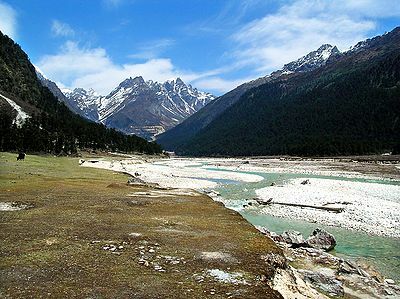 Yumthang is a valley with rolling meadows, surrounded by the Himalaya mountains, at an altitude of 11800 feet above sea level. One can reach the valley by a two hour drive from the nearest inhabited town, Lachung, which is 125 kms to the north of Gangtok. The valley blooms with Primulas, Poppies, Iris and othe flowers during the months of spring. The sweeping meadows bloom in a riot of colors, thus lending this place the name "Valley of flowers". 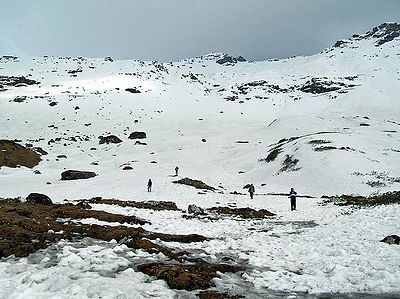 Situated at an elevation of 15000 feet above sea level, Katao valley is 144 kms to the north of Gangtok. 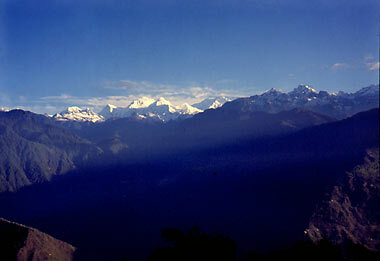 Katao remains covered in snow during the winter season and provides a fantastic panoramic view of the Himalayas. One can find the valley covered in flowers during the spring season. 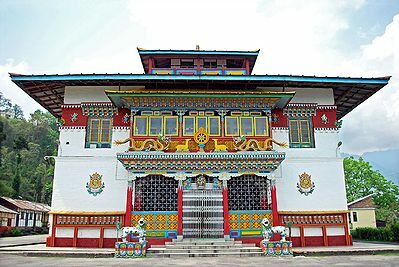 Phodong Monastery is one of the six most important monasteries in Sikkim and was re-built in the 18th century CE, replacing an older monastery. 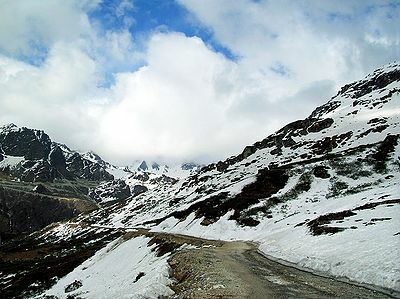 Phodong is about 28 kms to the north of Sikkim. 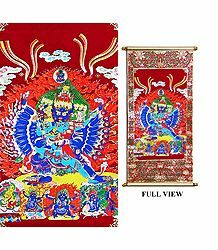 It is one of the most beautiful monasteries in Sikkim and houses some rare and old murals. The Namchi monastery, located on the Samdruptse hill, opposite to the town of Namchi. The town of Namchi is situated about 78 kms to the south of Gangtok. 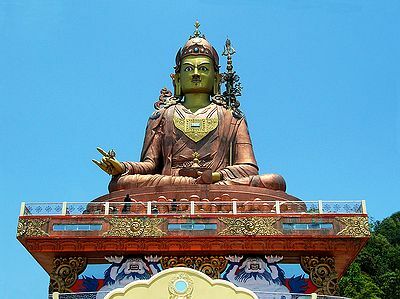 The Namchi monastery houses the world's tallest statue of Padmasambhava, also known as Guru Rinpoche. The statue towers at 135 feet. The Solophok Chardham mear Namchi is dedicated to Lord Shiva and has a 108 feet main temple and a 87 feet tall statue of Lord Shiva. 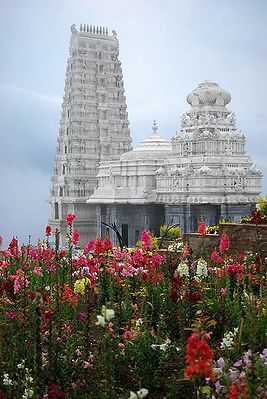 It also houses the temples at the four Hindu holy centers of India (Puri, Dwarka, Rameshwaram and Badrinath). 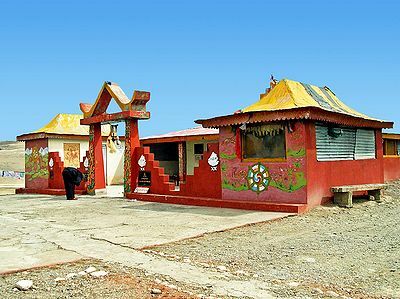 The Chardham is a recent addition to the attractions in Sikkim and was innaugurated in November, 2011. 118 kms to the west of Gangtok is situated the haloed monastery of Pemyangtse. 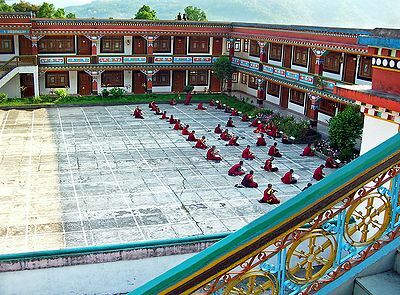 This monastery is one of the oldest monasteries of Sikkim and belongs to the Nyingma Buddhist order. 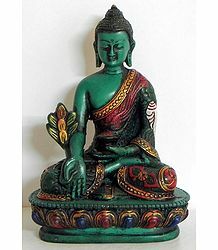 It prominently features statues of Padmasambhava. One gets a stunning view of the Himalayas from Pemayangste. Pelling is a small town, 2 kms from Pemayagtse, above the river Rangit. It commands an excellent panoramic view of the Himalayas. 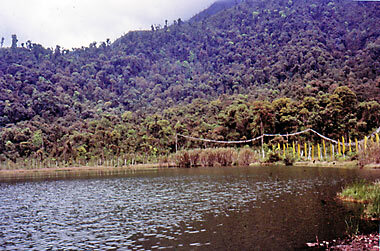 Khecheopalri Lake is situated 147 kms to the west of Gangtok. 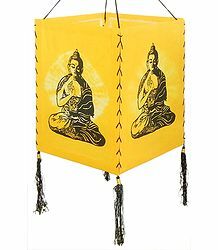 It is sacred to both Hindus and Buddhists. It is said that the water of the lake is so clean that even when a leaf floats down to the lake, the birds there pick them up as soon as the drop. 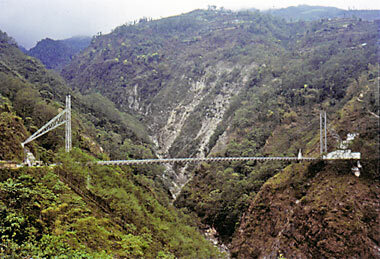 25 kms from Pemayangtse, is the Singshore bridge which is the highest bridge of Sikkim. It spans 198 meters and is 220 meters from the ground below. It connects two hills and is an engineering feat. 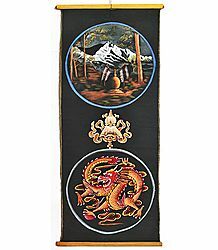 We present below, some of the beautiful artwork that is available in Sikkim. 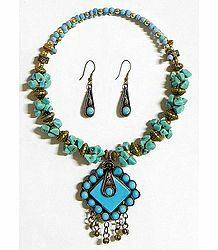 They range for sculptures, masks, lamp shades, apparel, embrodered and painted wall hangings and jewelry items.